Nearly 300 patients, admitted to hospital with acute purulent exacerbations of chronic respiratory disease, have been treated with various newer quinolones: 26 patients received enoxacin, 50 pefloxacin, 80 ciprofloxacin and 143 ofloxacin. Dosages varied from 400 mg once daily to 1000 mg twice daily, orally for five to 10 days. Patients were evaluated bacteriologically and clinically before, during and after treatment. Nearly all infections associated withHaemophilus influenzae and/orBranhamella catarrhalis were successfully eradicated. SomeStreptococcus pneumoniae infections relapsed, some could not be eradicated, and a number of patients developed new infections with these organisms. Approximately half of thePseudomonas aeruginosa infections were eradicated. Nearly all patients received concomitant theophylline but this only caused serious problems in those given 600 mg doses of enoxacin twice daily. 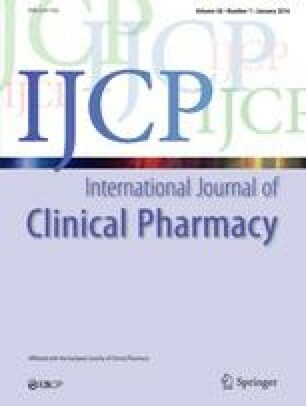 Five patients given ciprofloxacin had to discontinue because of unwanted effects (mostly hallucinations), one patient given pefloxacin had gastric pain and two patients given ofloxacin developed a skin rash. Apart from the theophylline interaction, the unwanted effects did not appear to be dose-related. The best overal clinical results were noted after 800 mg doses of ofloxacin once daily for seven days.